Range: Butterflies are found all over the world except Antarctica. Diet: They eat nectar and minerals found in plants and water. Size: They range from 1/8 of an inch all the way up to 12 inches. Habitat: Butterflies live in places that are warm and sunny for at least six to seven hours a day. If that climate cannot support them, they will migrate to a place that does. Immerse yourself in the Journey to South America habitat, and watch butterflies up close as they eat, fly, and show off their striking colors. You can even hold one if you’d like. 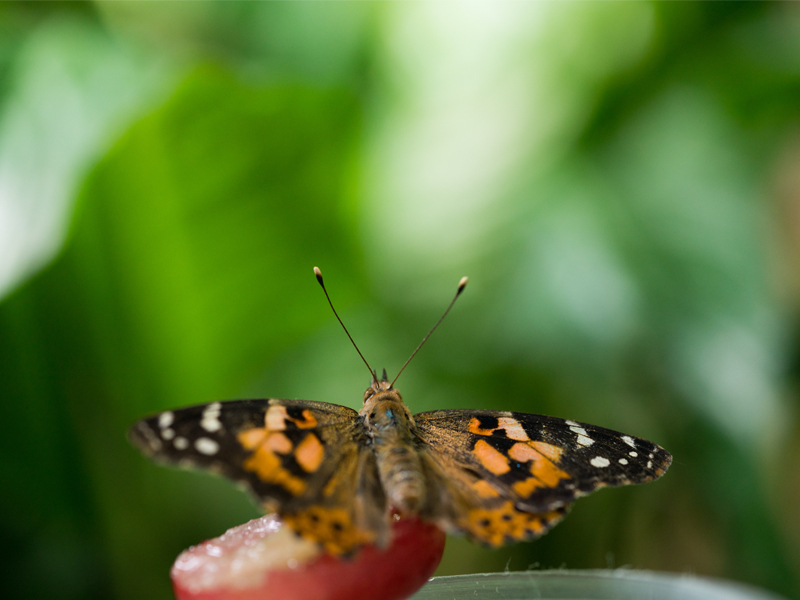 The Butterfly Experience features Painted ladies (Vanessa cardui), a migratory species found throughout the world. Characteristics: Butterflies have four distinct wings with striking colors and patterns. 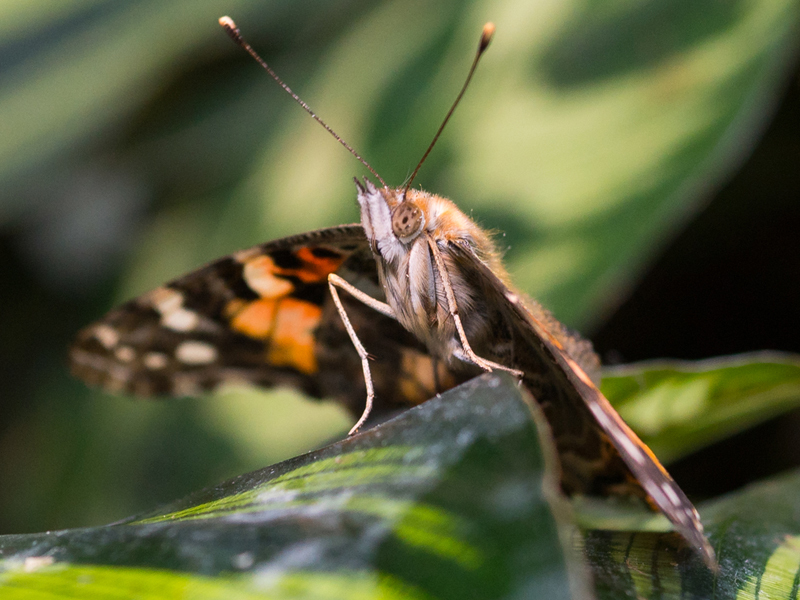 Butterflies are often confused with moths, but there are a few simple differences between them, including color, habits, and pupating appearance. The easiest way to tell them apart is when they are at rest. 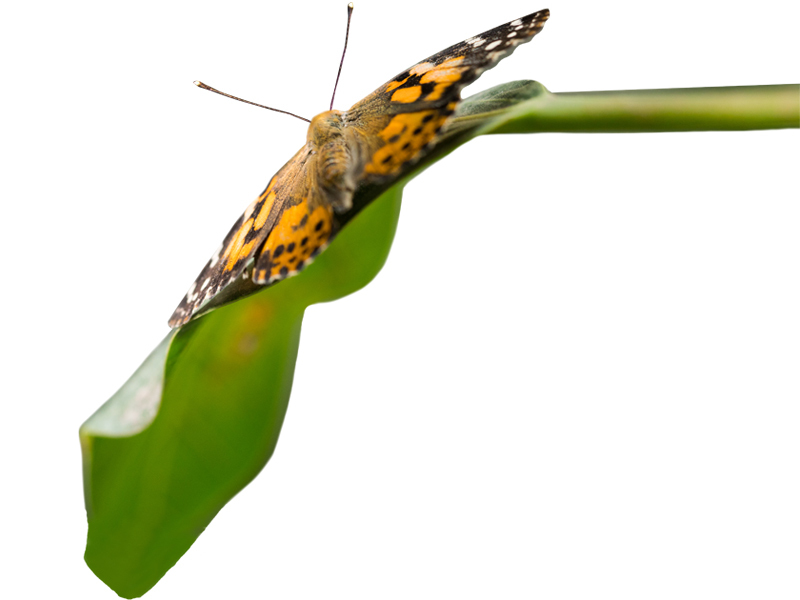 Butterflies tend to rest with their wings spread open, while moths tend to rest with their wings closed. Behavior: Butterflies are cold-blooded, so they do not generate enough heat and energy from their metabolism alone. This is why you see a butterfly resting in a patch of sunlight with their wings outstretched. They are absorbing the heat from the sun so they can move. Butterflies also cannot chew; they eat by sipping liquids like nectar and salt through flowers and water. They use what’s called a proboscis, which can be found curled neatly on the lower side of its head and is basically used as a straw. 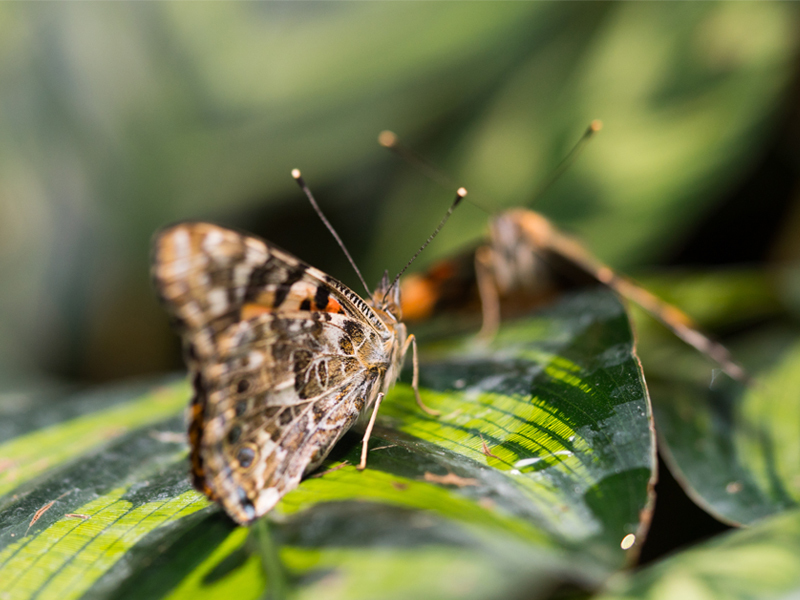 Reproduction: Butterflies lay their eggs on a specific plant which varies depending on their species. Their eggs consist of a hard, ridged outer layer of shell, called the chorion. This gets attached to the plant with a glue the butterfly secretes. Soon a caterpillar emerges from the egg by eating the shell it was growing in and begins to eat every consumable plant near it. Once the caterpillar exceeds a minimum weight at a particular time of day, it will begin its search for a suitable pupation site. Once it finds its site, it will transform into a pupa (chrysalis) and eventually become a butterfly. Their eyes have 6,000 lenses and can see ultraviolet light. 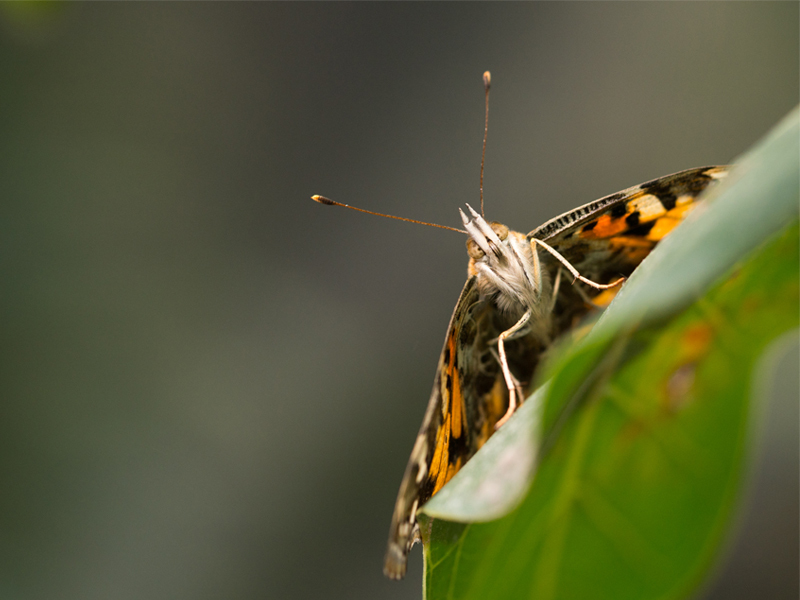 There are 165,000 known species of butterflies found on every continent except Antarctica. Many adult butterflies never excrete waste. They use up all they eat for energy. Butterfly wings are actually clear. The colors we see are made by the reflection of the tiny scales covering them. In some areas, the number of feeding caterpillars on plants is so great that you can actually hear them munching.